Learn more about the people behind the Center and how they keep it ticking. 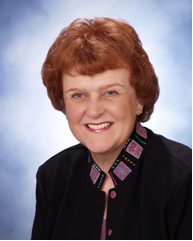 Judy has been a consultant to the public and private sectors for more than 25 years. She specializes in the design of evidence-based certifications and the sustainability of major initiatives. She has written one of the most used texts on performance improvement, the Performance Consultant’s Field Guide, 2nd Edition and the most referenced book on certification, Performance-Based Certification: how to design a valid, defensible, and costs effective program 2nd Edition along with many other books related to evaluation and performance. Her latest book, The School Improvement Specialist Field Guide was co-authored by Deb Page. Judy is known for her ability to explain complex concepts clearly. She is also known for her practicality and delivering programs and services that produce meaningful results.